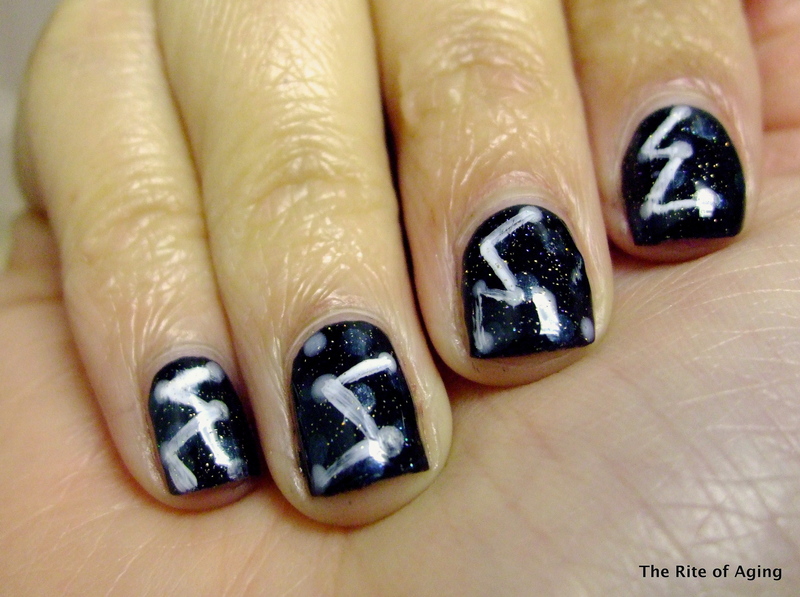 Nail-Art-A-Go-Go Day 10: Night Sky! I used 2 coats of Wet n Wild Black Creme as my base. I dotted with Sephora by OPI Go My Own Way and Revlon Parfumerie Fresh Linen. I applied Seche Vite to set the dots before connecting them with butter London Cotton Buds. I finished with a generous dose of INM Northern Lights top coat. wow! this is so cool looking and original!! !